AVDA will host Debi Fitzpatrick for a water soluble oil workshop, Nova Scotia Landscape. The paint is included in the cost of the workshop. Participants will bring a surface canvas size 16"x20" or 11"x14". 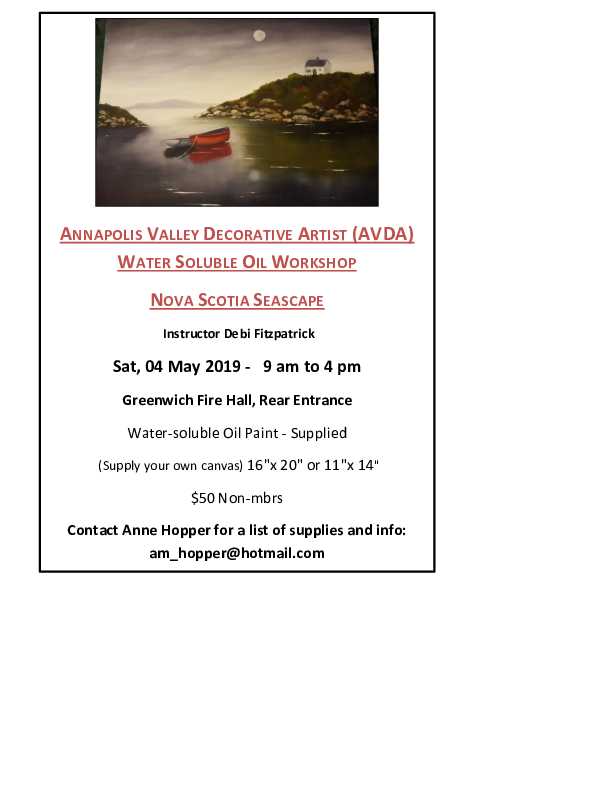 Contact Anne at am_hopper@hotmail.com for a list of supplies or further info.